• Worldwide shipping available and can be delivered to your door almost anywhere in Europe. 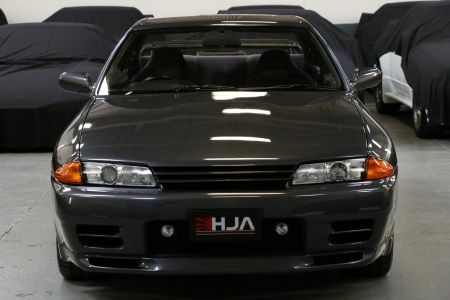 HJA bring you this exceptional R32 GT-R fresh in from Japan. 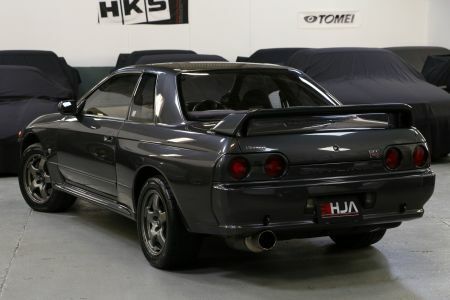 Our specialist team only hand pick the highest quality GT-R’s available in Japan. So when they came across this they immediately informed us this is one to get! 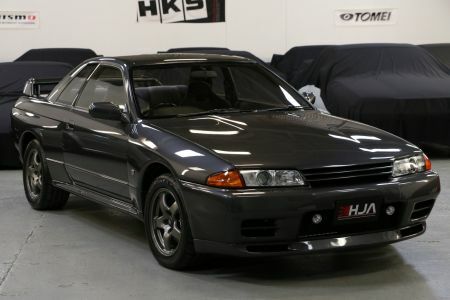 In spite of all the Top end GTR dealers in Japan trying to get hold of the car, we were fortunate enough to be able to secure and bring it over to the U.K.
First impressions the bodywork is practically flawless, garaged all of its life and constantly pampered. It really has been cherished by its owner in Japan. The paintwork has a deep gloss and reflects like a mirror. 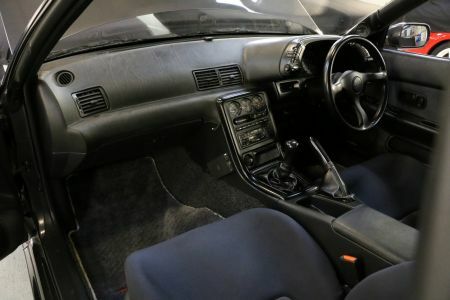 Interior is outstanding, completely stock. 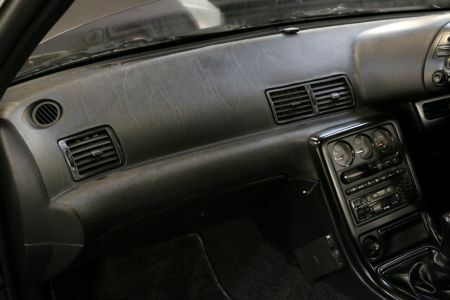 It retains the original factory steering wheel/gear knob and gaiters. 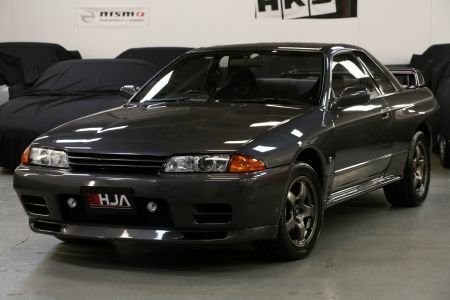 A lot of R32 seats have been sun damaged, leaving them a pale shade of blue rather than the darker shade from factory as seen in this R32. The dash is bubble free, all the carpet and plastic trims are immaculate around the whole car. It’s not just exceptionally clean on top, underneath has to be seen to be appreciated- quite hard to believe this cult classic is 23 years old as the condition puts most new cars to shame! 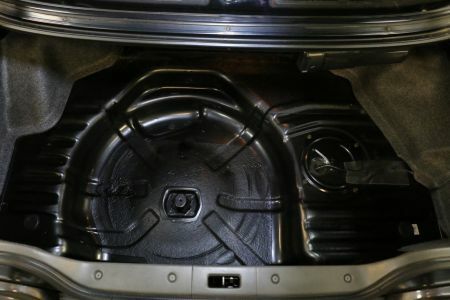 Just check out the pics and you will understand; Strut towers are original and the rear arches/boot are in immaculate rust free condition. As you would expect from a GTR of this standard it drives beautifully, Oil pressure is healthy 6 bar cold start and 2.5bar hot idle. The iconic Rb26 Engine pulls boisterously throughout the rev range without any hesitation; Gearbox is nice and fluent with no crunches. 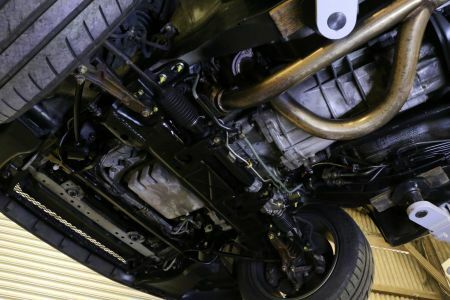 There are no knocks or rattles from the suspension; this is exactly how Nissan intended the car to drive from factory. 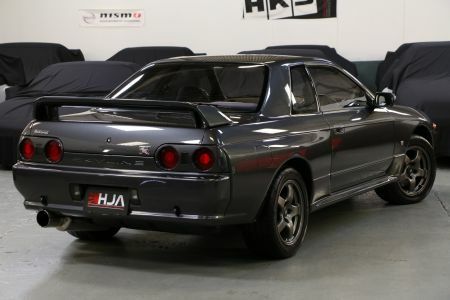 The R32 GT-R is now extremely sought after worldwide, and is considered the next big thing in the burgeoning classic and performance car market.